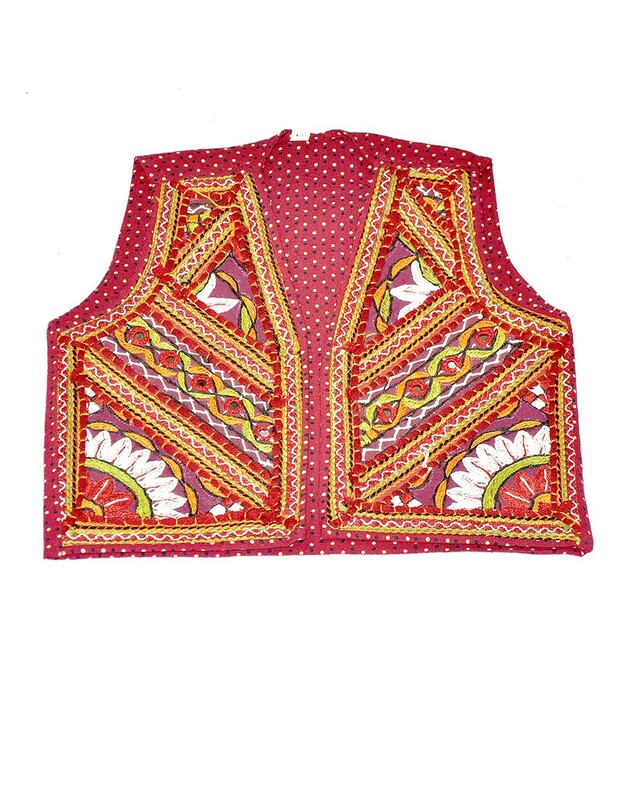 It is must-have in your ethnic wear collection. This jacket will complement most of your kurtas. Look classy and stylish in this piece and revel in the comfort of the Cotton fabric. This Kutch Embroidered handmade Jacket is having One Side Embroidery Work with Bright & Eye catchy Look. The traditional embroidery patterns will make you look Trendy & beautiful. This can be worn on kurta or on any casual top. • Disclaimer: This kind of product is handcrafted and may have slight imperfection and/or mismatch from the product shown in the image as it's handcrafted by the artisan which makes the product unique.